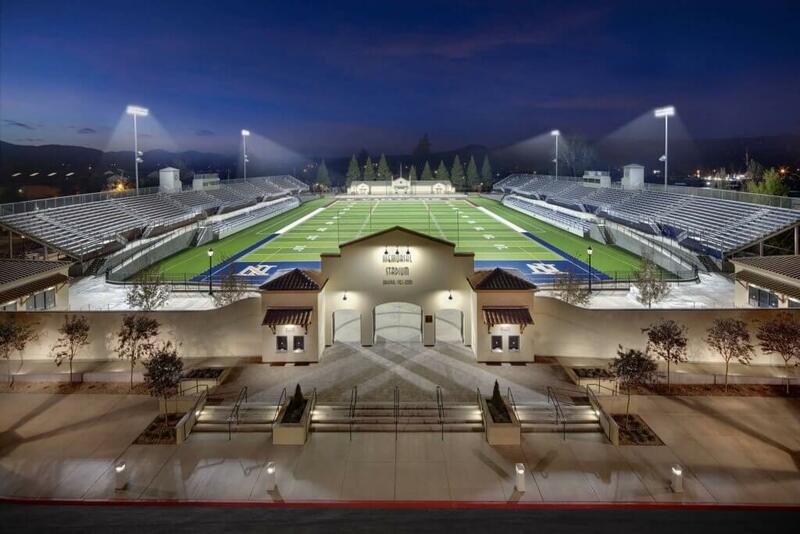 This modern 6,400-seat football / soccer stadium was built for the Napa and Vintage High Schools. 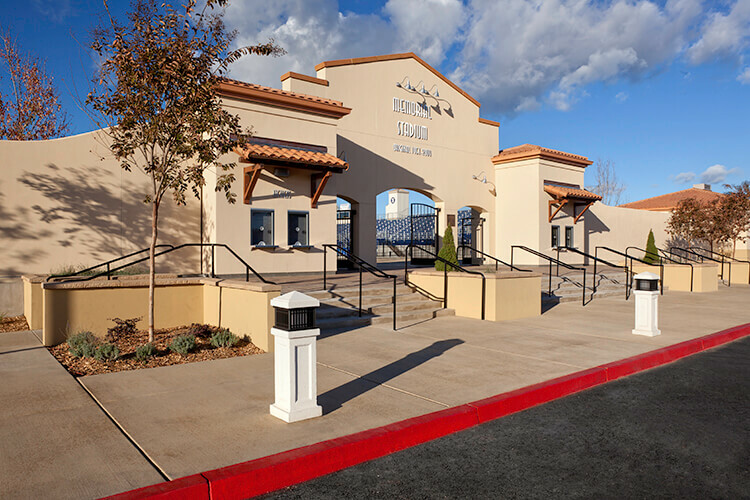 This project included demolition and abatement of the old facility and new construction of team rooms, restrooms, concessions stands, ticket booths, and press boxes with elevator access, along with multi-tiered bleachers and grading for the synthetic turf field with irrigation (cooling) system. 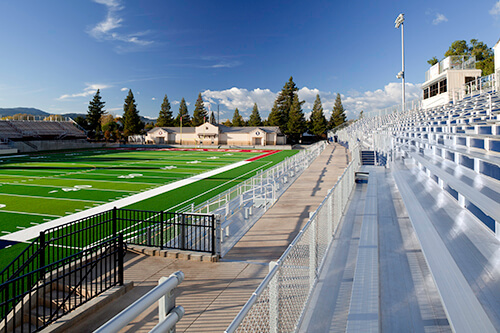 The press boxes are wired for multi-media and broadcast capabilities. 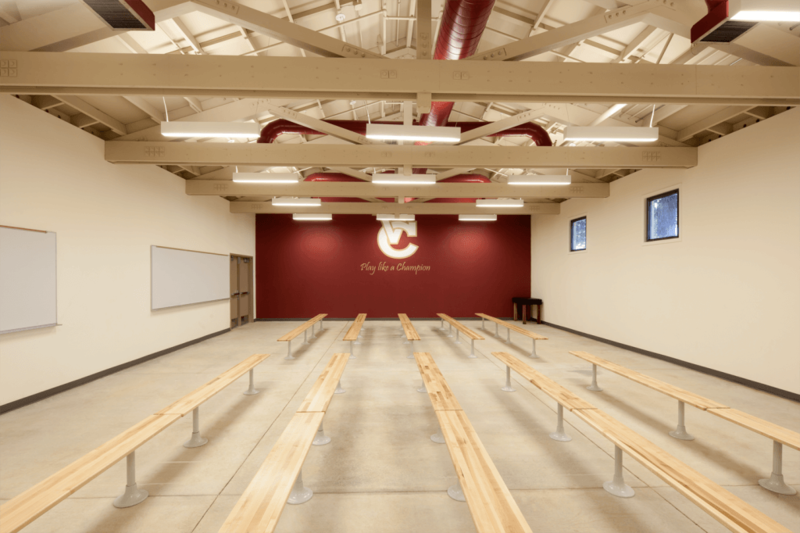 The concessions stands included epoxy flooring, food service equipment, and service windows.